Aghazadeh, S., Mohammadi, M., Naderi, B. (2017). Multi objective organ transplant supply chain with effective location and time consideration. Journal of Industrial and Systems Engineering, 10(4), 158-176. Seyed Mahdi Aghazadeh; Mohammad Mohammadi; Bahman Naderi. "Multi objective organ transplant supply chain with effective location and time consideration". Journal of Industrial and Systems Engineering, 10, 4, 2017, 158-176. Aghazadeh, S., Mohammadi, M., Naderi, B. (2017). 'Multi objective organ transplant supply chain with effective location and time consideration', Journal of Industrial and Systems Engineering, 10(4), pp. 158-176. Aghazadeh, S., Mohammadi, M., Naderi, B. Multi objective organ transplant supply chain with effective location and time consideration. Journal of Industrial and Systems Engineering, 2017; 10(4): 158-176. Nowadays, working alone on a context is not sufficient and reaching good and worthy results demands cooperation of multi sciences. Healthcare supply chain is one of these sciences that bridges engineering and healthcare sciences. This paper proposes a new multi–objective model for organ transplant supply chain, which is one of consequential fields in Healthcare supply chain, by aiming at having a more effective system. First objective function tries to minimize costs of opened centers, shipping organs, information, and allocations. In this regard, to increase number of transplantations and decrease shortage of demands, a penalty figure is also considered for remained inventory at the end of each period. The second objective function considers three important aspects of location in organ transplant supply chain which have not been studied yet, including; expected number of donors, coverage of other locations by taking into consideration the maximum remaining time for each organ out of body, and safety index. The last objective function tries to find routs with final total minimum time. At the end, some numerical experiments are done with using GAMS optimization software. Alagoz, O., Schaefer, A.J., Roberts, M.S. )2009). Optimizing organ allocation and acceptance, Handbook of Optimization in Medicine, Springer. 1– 24. Belien, J., De Boeck, L., Colpaert, J., Devesse, S. and Van den Bossche, F. (2011). Optimizing the supply chain design for organ transplants. Hogeschool-Universiteit Brussel, Faculteit Economie en Management, Working Papers. Belien, J., De Boeck, L., Colpaert, J., Devesse, S. and Van den Bossche, F. (2013). Optimizing the facility location design of organ transplant centers. Decision Support Systems. 54(4): 1568-1579. Benneyan, J.C., Musdal, H., Ceyhan, M.E., Shiner, B. and Watts, B.V. (2012). Specialty care single and multi-period location–allocation models within the Veterans Health Administration. Socio-Economic Planning Sciences. 46(2): 136-148. Bruni, M.E., Conforti, D., Sicilia, N. and Trotta, S. (2006). A new organ transplantation location– allocation policy: a case study of Italy. Health Care Management Science. 9(2): 125-142. Daskin, M.S., Dean, L.K. (2004). Location of health care facilities. Operations Research and Health Care, A Handbook of Methods and Applications, Kluwer's International Series, Dordrecht. 43–76. Drira, A., Pierreval, H. and Hajri-Gabouj, S. (2007). Facility layout problems: A survey. Annual Reviews in Control. 31(2): 255-267. Farahani, R.Z, SteadieSeifi, M. and Asgari, N. (2010), Multiple criteria facility location problems: A survey. Applied Mathematical Modelling. 34(7): 1689-1709. Ghane, M., & Tavakkoli-Moghaddam, R. (2016). A stochastic optimization approach to a location-allocation problem of organ transplant centers. Journal of Optimization in Industrial Engineering. Heilpern, S., (1997). The expected value of a fuzzy number. Fuzzy Sets and Systems. 147(1): 81- 86. Ing Hsu, C., Chieh Li, H. (2011). Reliability evaluation and adjustment of supply chain network design with demand fluctuations. Int.J. Production Economics. 132: 131-145. Kong, N., Schaefer, A.J., Hunsaker, B., and Roberts, M.S. (2010). Maximizing the efficiency of the US liver allocation system through region design. Management Science. 56(12): 2111- 2122. Meepetchdee, Y., and Shah, N. (2007). Logistical network design with robustness and complexity considerations. Int. J. Phys. Distrib. Log. Manage. 137(3): 201–222. Melo, M.T., Nickel, S. and Saldanha-Da-Gama, F. (2009). Facility location and supply chain management–A review. European Journal of Operational Research. 196(2): 401-412. Pishvaee, M.S., Rabbani, M., Torabi, S.A. (2011). A robust optimization approach to closed-loop supply chain network design under uncertainty. Applied Mathematical Modelling. 35(2): 637–649. Rahman, S. and Smith, D.K. (2000). Use of location-allocation models in health service development planning in developing nations. European Journal of Operational Research. 123(3): 437-452. Rais, A. and Viana, A. (2010). Operations research in healthcare: A survey. International Transactions in Operational Research. 18(1): 1-31. Rajmohan, M., Theophilus, C., Sumalatha, M. R., & Saravanakumar, S. (2017). FACILITY LOCATION OF ORGAN PROCUREMENT ORGANISATIONS IN INDIAN HEALTH CARE SUPPLY CHAIN MANAGEMENT. 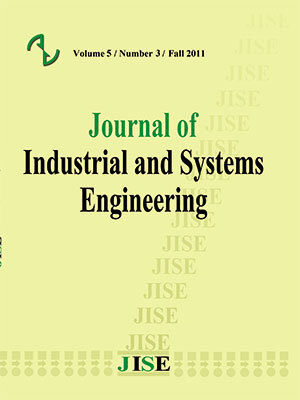 The South African Journal of Industrial Engineering, 28(1), 90-102. Sha, Y. and Huang, J. (2012). The multi-period location-allocation problem of engineering emergency blood supply systems. Systems Engineering Procedia. 5: 21-28. Shariff, S., Moin, N.H. and Omar, M. (2012). Location allocation modeling for healthcare facility planning in Malaysia. Computers and Industrial Engineering. 62(4): 1000-1010. Simchi-levi, D., Kaminsky, P. (2000). Designing and Managing the Supply Chain: Concepts, Strategies, and Case Studies. New York: McGraw-Hill International edition. Syam, S. and Côté, M.J. (2012). A comprehensive location-allocation method for specialized healthcare services. Operations Research for Health Care. 1(4): 73-83. Uehlinger, N., Beyeler, F., Marti, H. and Immer, F. (2010). Organ transplantation in Switzerland: Impact of the new transplant law on cold ischemia time and organ transports. Swiss Medical Weekly. 140(15): 222. Vroemen, J., Van der Vliet, J., Cohen, B., Persijn, G., Lansbergen, Q., Kootstra, G. (1984). The influence of warm and cold ischemic time on the outcome of cadaveric renal transplantation. European Surgical Research. 16: 175–181. Zahiri, B., Tavakkoli-Moghaddam, R., Mohammadi, M., Jula, P. (2014). Multi-objective design of an organ transplant network under uncertainty. Transportation research part E. 72: 101-124. Dobrzykowski, D., Saboori-Deilami, V., Hong, P. and Kim, S.C. (2014). A structured analysis of operations and supply chain management research in healthcare (1982–2011). International Journal of Production Economics. 147(B): 514-530.